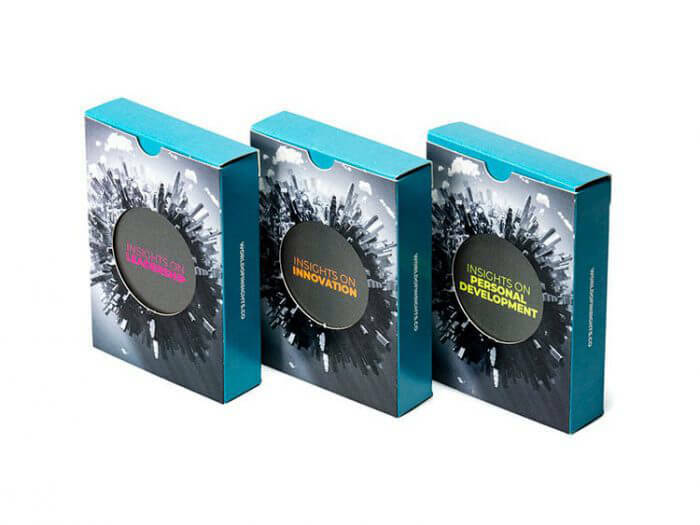 The full set of our 3 Insight Cards in one collection: Insight Cards on Innovation, Leadership and Personal Development. 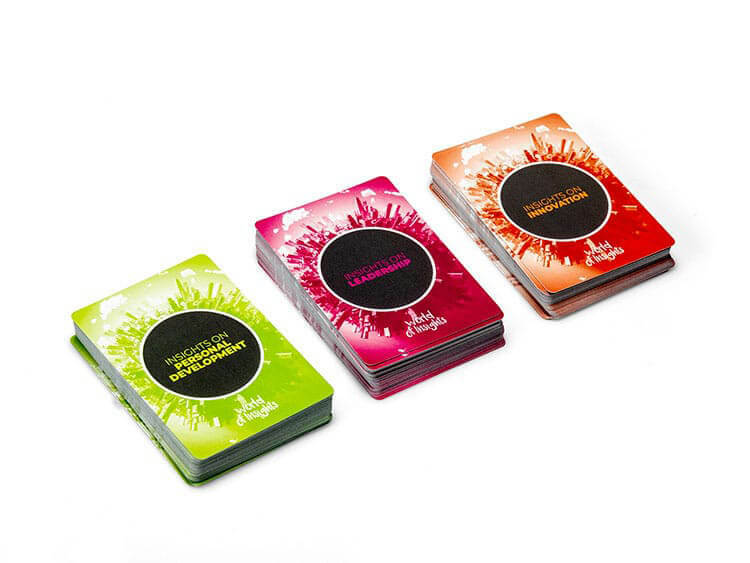 Our Insight Cards are used by team leaders, facilitators and workshop hosts all over the world. They are an easy and inspirational way to start a learning event or deepen dialogue in small groups. 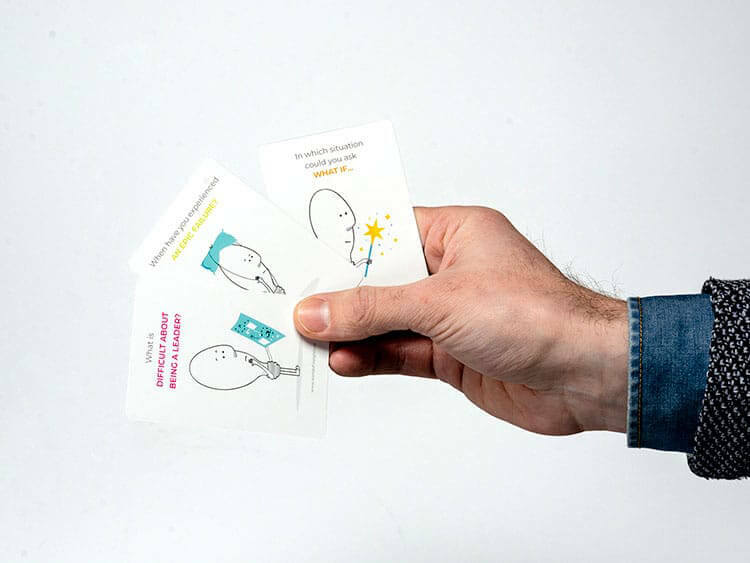 The Insight Cards are based on powerful questions and draw on a number of management theories as well as neuroscience, making most of the group learning process.